More and more older and disabled people travel despite mobility impairments and expect barrier-free facilities in their hotel. Modern hotel concepts are increasingly oriented towards the individual needs of guests and include bathrooms with functional GROHE wash basins, showers and WC fittings for the special requirements of this guest group. People who find conventional fittings hard to handle expect good design to make operation easier. The ergonomic GROHE fittings for washbasins, showers, baths and WCs fulfil the practical requirements to a high degree, and ensure easy and reliable use. 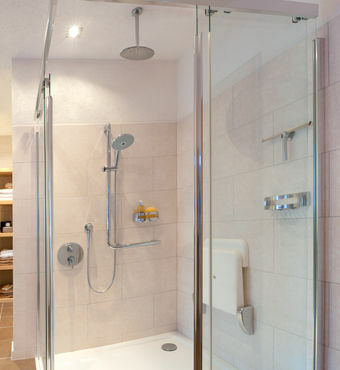 In some countries, it is a legal requirement to provide suitable bathroom fittings for the disabled user. 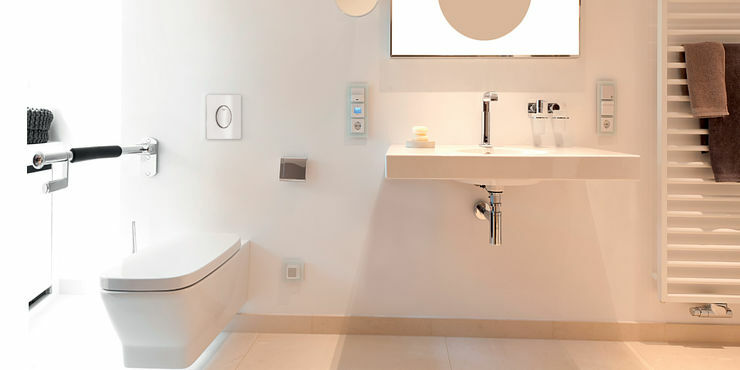 GROHE have a suite of products to help comply to ADA & DDA standards. The touchless GROHE fittings controlled by infrared electronics combine excellent ease of use with reliable operation. Operation of the demand-controlled water flow is touchless through interruption of an infrared beam. The flexible GROHE Rapid SL installation systems with special grip elements for supports and handles allow easy and quick installation of a WC and wash basin at the required installation height and within a movement area sufficient for barrier-free use.